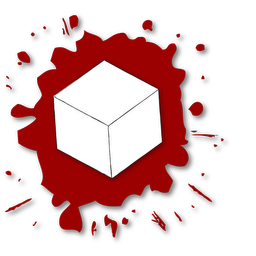 An experimental package for the upcoming AssaultCube v1.1 has been packaged. If all goes well - when does it? - we just rename the packages online later and are through. Most likely we will build one package after one or maybe two weeks of trial-running the alpha. That will be the official AssaultCube v1.1 release. 0.e) new fonts! and the possibility of change them! 0.f) new voice com sounds! 1.5b) HELMETS giving 25% of armor (one level). 4.a) No more nade spam! 4.b) nade pickups with only one nade, but the players can carry up to 3 nades (needs more experience to take advantage of this)! Thanks to everybody who patiently waited for the 1.1, and tested every time we screamed in the channel. In this row, special thanks to Brett who was *always* there. EDIT: Can't seem to open the dmg mac version. Good, now I don't have to redownload the SVN after I had to change accounts. dmg works for me just fine. (18 Jul 10, 11:30PM)KN!F3 Wrote: The mac version does not work. Here are some impressions to this. Some are the same like I have already mentioned here. When I used the shotgun first I'm hearing the sound of the carbine. After switching to the carbine and back to the shotgun, the correct sound is used. First of all, the idea is good. But the time which is used (45sec) is quite too fast (and this not only my opinion). It seems to me that the counting mechanism ignores typing or selecting/switching the menus. Probably cause this happens on clientside without any further notification sent to the server. So if you are in a conversation and you are typing a longer sentence or thinking for moment about the words you want to use (cause you arent a naturally english speaker) then you will be disconnect. Therefore I suggest to put a player without any moving action after a longer period of time into spectator first and after the same amount of time w/o action he will be kicked out. As I already mentioned in my first post, I would like to see more consistency in the weapon preview. IMO the user becomes more logically of elements of the same kind are put on the same place. Therefore the rotating weapon model in the weapon selection menu should be placed as suggested in the image. If it is the goal to make the score value to the important thing on this board then it should be placed as first column on it (maybe with a different color?). Currently it doesnt look very necessary, important or interesting. Honestly the PJ and Ping info could be replaced by a much more simplified "connection" info, which shows the quality of the connection like e.g. "good", "bad", "lag" (ofc colorized). Maybe questions like "Is my ping good? ", "What's a PJ? ", "Why is my PJ 0?" and stupid comparisons to the ping values of other games become history then. I'm still not sure I like the ability to get a negative score. (19 Jul 10, 12:43AM)Dreamer Wrote: I'm still not sure I like the ability to get a negative score. Yep, this is a mess. It should be 0 if you cant do/get anything (a frag, a gib w/e). If your score value is swinging up and down then it isnt better like the ratio value (which is planned to be replaced by the score value). The advantage of the negative score is that new, low-skill players have a target to aim for - 0. Whether this would actually work as an incentive, or put off players who don't like being negative, depends on the psychology of the player, I guess. Wow, getting a 0 as an incentive? You are kidding right? Well in that case we can also retain our old points of orientation (flags, frags, deaths, ratio), cause they have been enough incentive in the past imo. I think i might just wait till it has been released properly so then i don't have to muck around with all of this stuff. The discussion about scoreboard was already in old forum. The purpose is eliminate unbalanced teams. Many factors of gameplay is mapping to one value and through this value balanced teams. There were more ideas how to do it and this one was chosen, i don't remember whose it is. now would be good link to that thread and end of the discussion, you had oppurtinity to discuss about it. I as coder hate such changers of specifications. So far that's the only thing that is relle bugging me, I got say that I did love the overall weapon balance, now ppl is gonna have to think more about weapon/map, no more sniper or smg and you are good to go, good job there! lol NVM i cant keep my hands of stuff like this. Got auto-banned just a minute ago- said my score dropped below the threshold. I believe I had two flags, several frags, and no deaths, didn't kill a teamate or myself. The changes to the nade are for the worst imo. They kill the purpose of nades. Why use nades if you can just smg them. No incentives for nades, and don't give me that tactical bs. Same here! I thought I was just going crazy. I can NOT get the sensitivty to stay consistant with the older version. The two do not match. A tad bit frustrating! (19 Jul 10, 04:14AM)Zomg! Wrote: Why use nades if you can just smg them. Why use a "tertiary" weapon if you can just use your primary? I think that's the intention. (19 Jul 10, 02:21AM)Alien Wrote: The discussion about scoreboard was already in old forum. The purpose is eliminate unbalanced teams. Many factors of gameplay is mapping to one value and through this value balanced teams. There were more ideas how to do it and this one was chosen, i don't remember whose it is. now would be good link to that thread and end of the discussion, you had oppurtinity to discuss about it. I as coder hate such changers of specifications. You are forgetting (once more) to whom you are talking. Maybe you don't remember or you haven't realize during the past year that I have left the community in the meantime and I returned short before the old forum was going down. Therefore I have no idea what you and others have discussed before. Maybe you have also not realized that we have a new forum now and that the old content is gone. So it might be a good idea no to request links to the void. Btw, I know the future purpose of the score value. Also I don't dislike it in general, but I'm pointing on some irritating aspects. I never seen a game or a sport where you can can get negative scores from the beginning. This is more deterrent than stimulative IMO. Therefore I'm for a modification of your so called specification (changing the calculation a bit). And finally - as a tip - we are on alpha testing now; it's totally legit to check out, criticize, fine tune, add, take out, modify (and whatever you want) the aspects of this piece of software. This is normal for and the purpose of alpha stage testing (you as a coder will learn this sometimes). Better discuss something before it has been release instead after the release. Quote: "Why use a "tertiary" weapon if you can just use your primary? I think that's the intention." If that's the intention then just get rid of grenades than severely cripple them. Getting rid of them is no less ridiculous than what is happening to them now. They did something to make it feel more "natural" to switch between the two sensitivities. I suppose you could copy back the old code and overwrite the new one if you wanted to. But what gets executed first: scripts.cfg or autoexec.cfg?